Liz Young shares her personal story of how she turned a most dreadful menopause around and found peace in her body again. A few years ago, Liz shifted drastically from peri-menopause to menopause. She was struggling with extreme bleeding to the point of calling the hospital, terrible brain-fog, out of control hot flashes, fatigue and dreadful episodes of depression. The doctor prescribed an IUD and a combination of hormones – testosterone, progesterone and estrogen – which left her 30 pounds heavier six weeks later. She was livid. Out came the IUD and she stopped the pills. The weight and her issues remained however. Left clueless as to where to turn, she dabbled around in the dark trying to find the light-switch. Having grown up in a household where “food was thy medicine, and medicine was thy food” she naturally gravitated towards holistic ideas. Several detoxes gave her hope and the knowing that if she truly got to know her body again, she would succeed in creating it the way she wanted. It was a slow process but every day she got enough of a nugget to plug along. When she found Ayurveda she deepened her knowledge around self care and how her body functions. She realized that while detoxes are necessary and helpful they left her with a jo-jo effect. Something needed to bridge those short bursts of ‘doing everything perfect’ to create a lasting solution. A serious upgrade in various small, specific habits is what gave her the long term result. 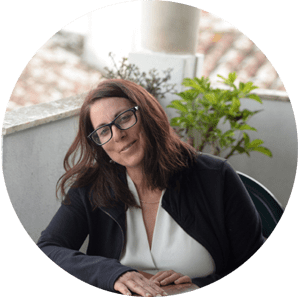 Liz shares how she learnt to listen to her own internal review board, how holding internal counsel has helped her shift the relationship to her body and allowed her to turn menopause around. Liz and I also chat about how her vaning youthful look impacted her psyche and how she managed to look younger despite getting older. Liz Young LMT, RYT, Yoga health coach, grew up in a home where her mother believed that food was thy medicine. She always had a yogurt and sourdough start in the fridge, and a colorful variety of greens sprouting in the kitchen. At a young age, she watched her Mom throwing dandelions in the blender way before it was trendy! Her cure for anything that ailed was bound to include coffee enemas, golden-seal and garlic.